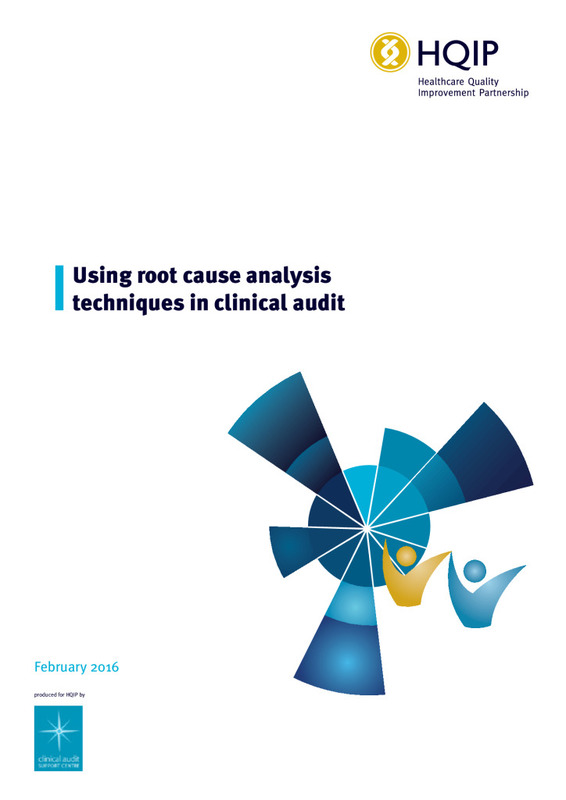 Our new Using root cause analysis techniques in clinical audit guide has been co-written in partnership with the Clinical Audit Support Centre (CASC), who ran a series of workshops for HQIP at the beginning of 2015. The guide lays out different tools and techniques for Root Cause Analysis (RCA), that can be used alongside clinical audit when shortfalls in compliance with standards are identified. This guide aims to improve patient care and clinical audit delivery by providing practical advice on how established RCA techniques can ‘add value’ to clinical audit. The guide is primarily aimed at clinical audit professionals and healthcare staff that participate in clinical audit initiatives at both local and national level. In addition, there are useful templates which can also be downloaded as separate documents below and adapted for your personal use. The guide can be read in conjunction with our Guide to using quality improvement tools to drive clinical audit. It should also be noted that root cause analysis and some of the techniques described below can also be used as quality improvement techniques in their own right, see our Guide to quality improvement methods.